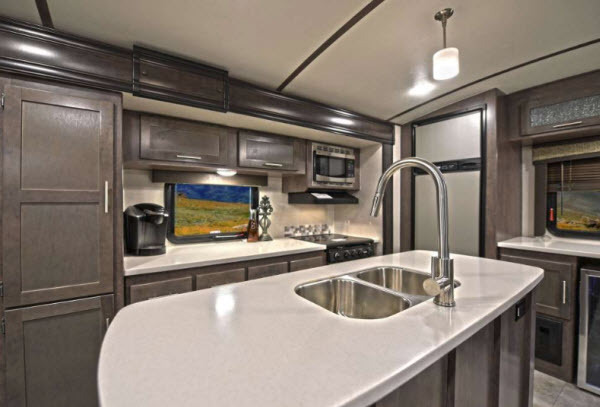 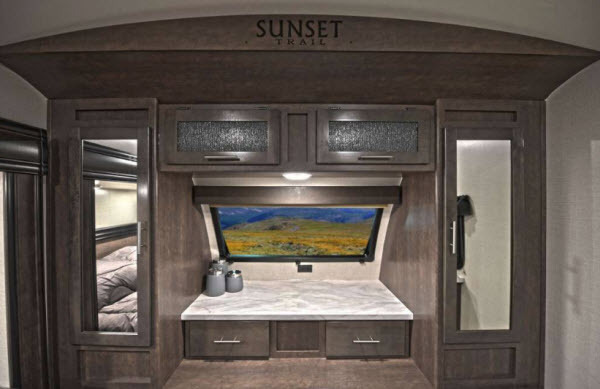 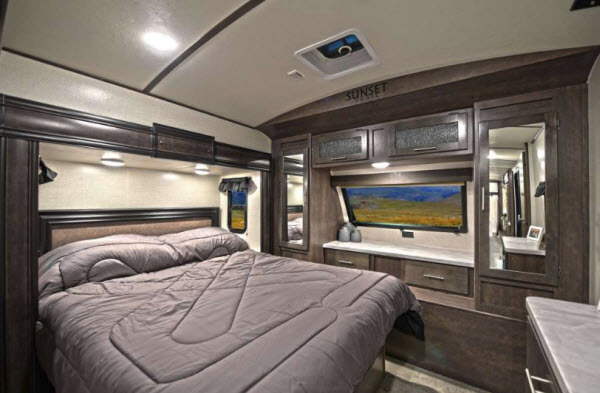 The CrossRoads Sunset Trail Grand Reserve travel trailers are light-weight for towing, and everything you need for a weekend family adventure is found in one of these models. 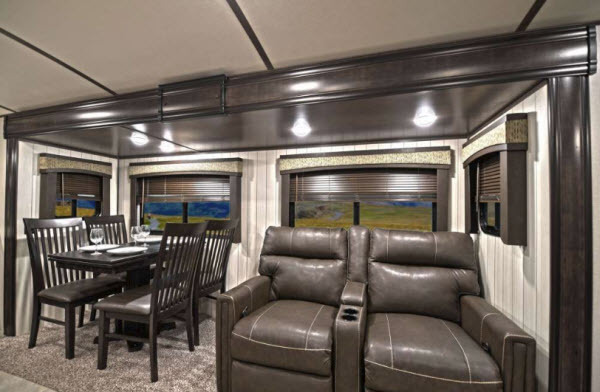 The standard features forgotten by others are included in the Sunset Trail Grand Reserve so you can hit the road for a weekend of family fun or days of adventure and discovery. 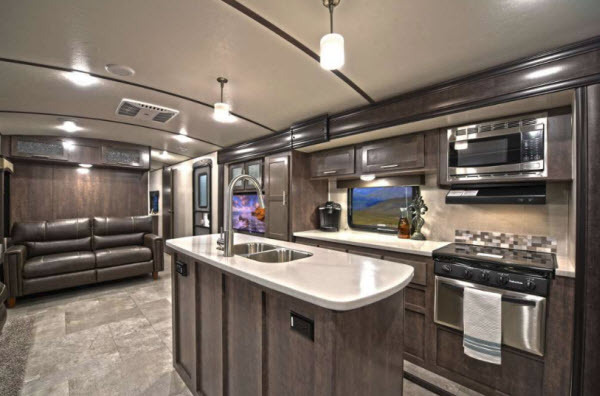 From the exterior painted front cap with clear view automotive windshield, motion LED light in the pass-through compartment, and an outside camp kitchen, your family is sure to enjoy the Grand Reserve for years to come. 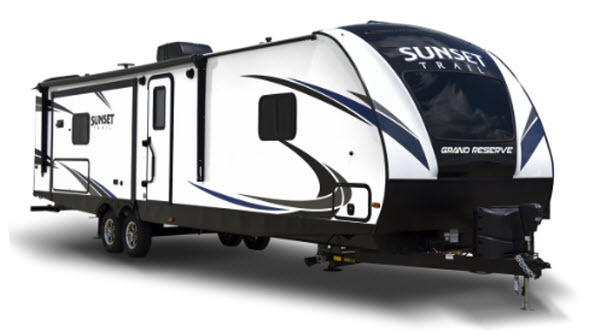 Come choose a Sunset Trail Grand Reserve travel trailer and start exploring the trails of your dreams! 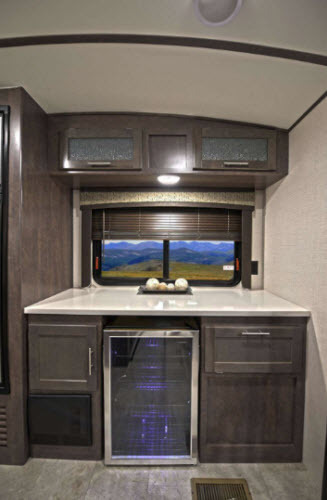 See us for a complete list of standard features and options! 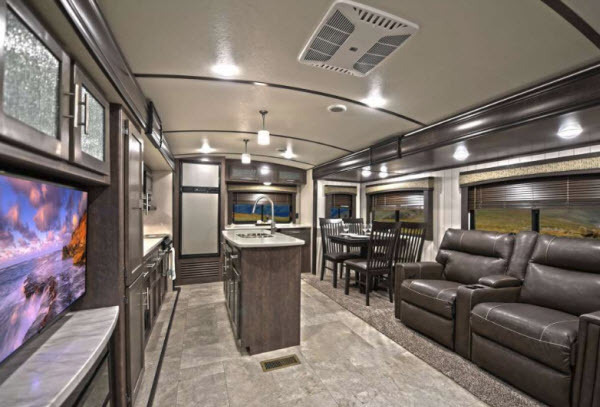 All standard features and options are subject to change.